Meal plan? I don’t need one! Morning schedule? I’m just fine, thank you! Now that we have kids, I recognize that many of my own frustrations–like being late, driving around in a messy car, and not knowing what to make for dinner– are direct results of me thinking that life will just magically come together and organize itself. 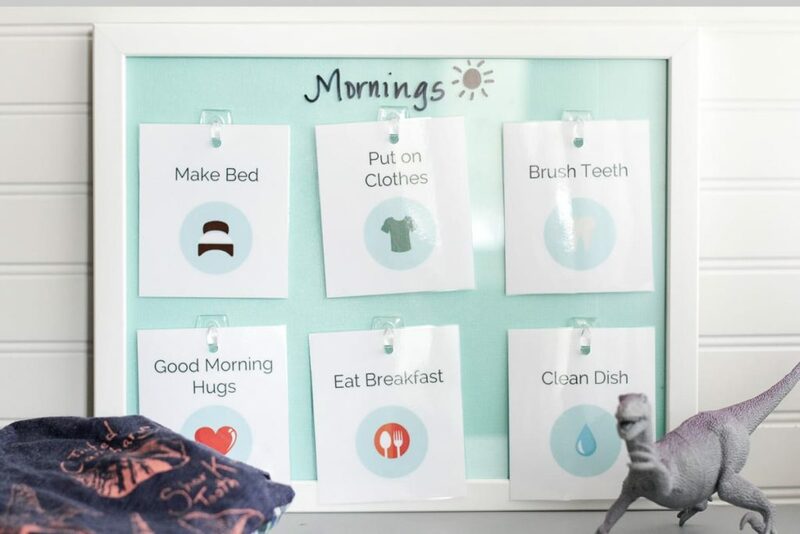 Systems and routines are the foundations of an organized, happy, kid-filled home. 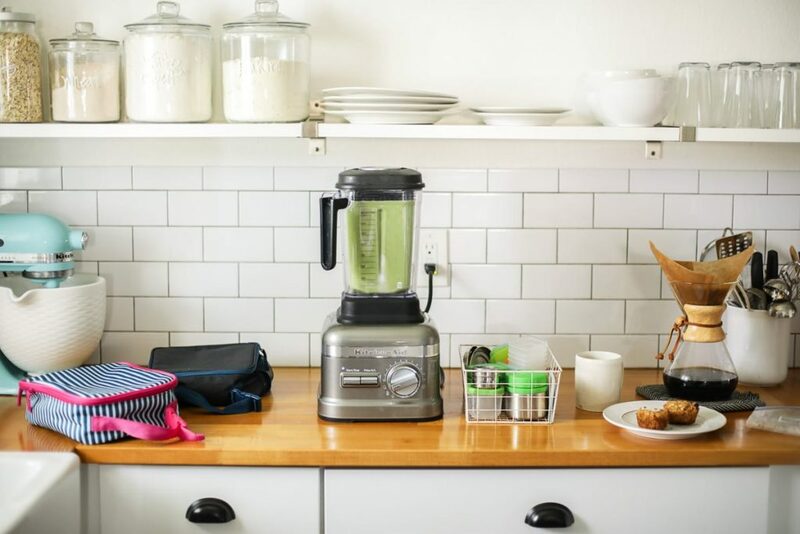 By implementing routines, like a morning routine and bedtime routine, a school clothes routine, a laundry routine, and rotating meal plans (basically a meal routine), the chaos that once reigned supreme in our home no longer exists. Hallelujah! 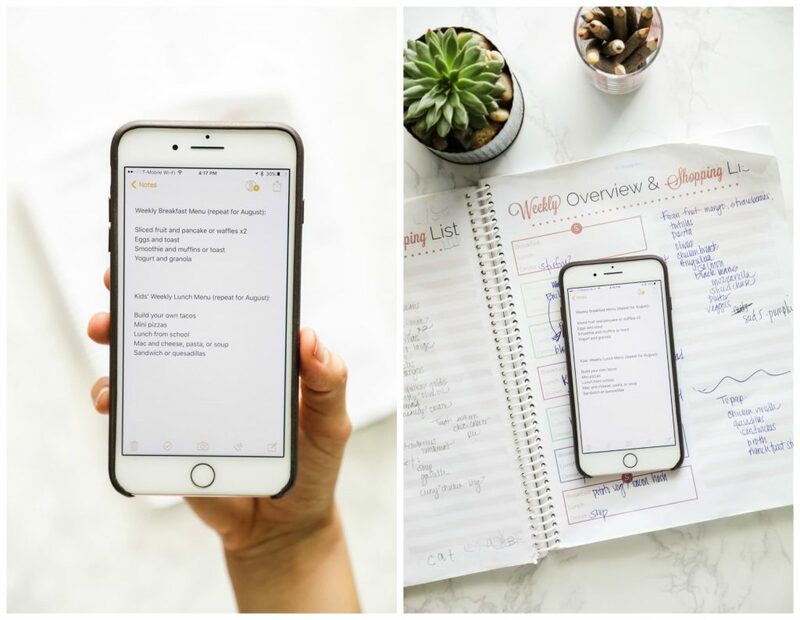 Sure, life will always be a bit “crazy” with kids–or maybe spontaneous and unpredictable are the words I’m looking for–but the goal of creating routines and organization isn’t about some sort of unattainable perfection. The goal is to simply reduce the stress and chaos by simplifying daily life tasks. 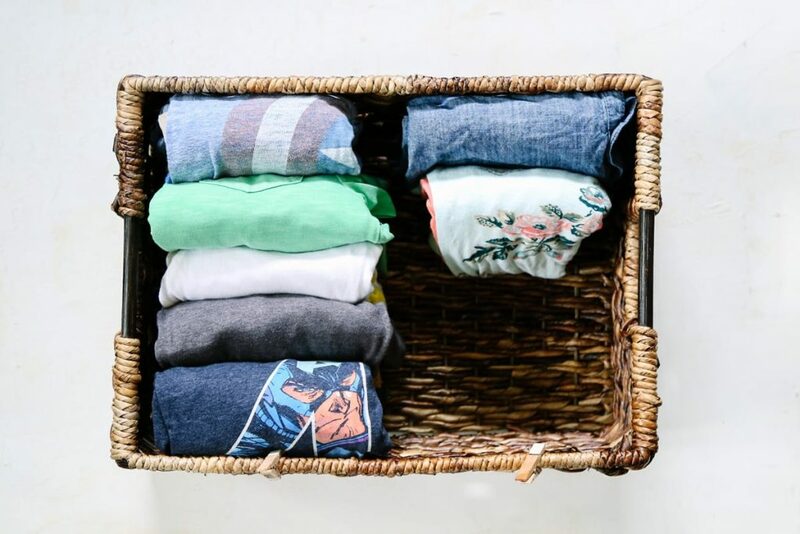 Why not create a laundry routine versus feeling frustrated about the loads of laundry that pile up each week? Why not create a meal plan instead of opening up the fridge every morning and feeling frustrated about the lack of meal options? Why not teach the kids to wake up each morning, make their beds, get dressed, and make their way to the kitchen for breakfast? Routines provide structure for completing daily life tasks. This structure makes daily tasks simpler, easier, and more organized. This means we have more time to embrace the spontaneous side of life without worrying about how the laundry will get done, the lunchbox will get packed, or if the kids will find clean socks in the morning. Okay, I’m going to step down from my soapbox, lol. 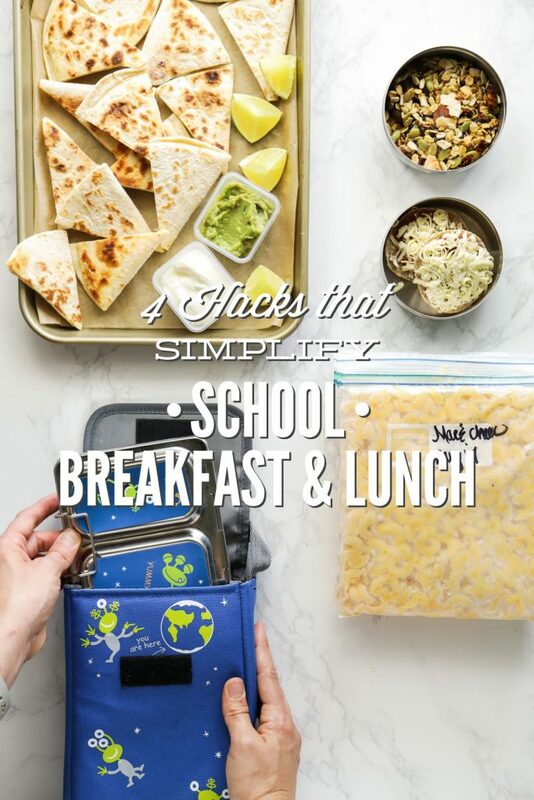 Let’s talk about four “hacks” to simplify daily life tasks so there’s time to enjoy a real food breakfast and pack a (real food) school lunch. Currently, my kids need me to pack their lunchbox. I’m looking forward to the day when they can pack their own lunch, but, for now, I’m the chief lunch packer and breakfast maker (because while Dustin is amazing at many things, cooking isn’t one of them). 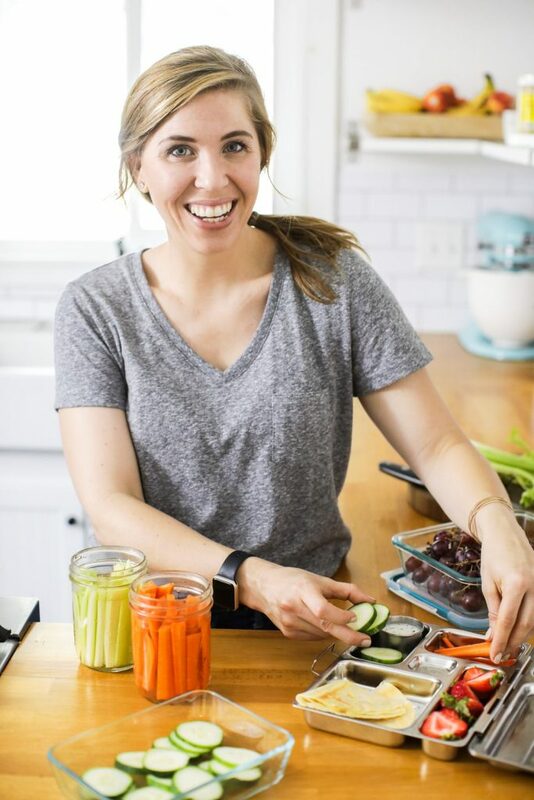 The following “hacks” are strategies I’ve implemented in our home to “buy” me a few extra minutes at night or in the morning to accomplish the necessary tasks of getting breakfast on the table and packing school lunch. Think of these strategies as practical ways to bring more organization to the school year. There’s no need to reinvent breakfast and lunch every single week. Create a weekly breakfast and school lunch menu, and stick to that menu for an entire month. If a month seems too long or too boring, then try a two week rotational menu. For two weeks, the same breakfasts and lunches are repeated (during the weekday). And then for the next two weeks, the schedule changes to include different breakfasts and lunches. Remember, the goal is nourishment not Pinterest-worthy creativity. Think about what you can prep based on your repetitive plan (see hack no. 1). Prep a couple of foods in advance for the week ahead. For example: Make waffles (or a gluten-free option) on Sunday, doubling the recipe, so you can have waffles later in the week. Or, dedicate an hour on Sunday to prepping a batch (or double batch) of waffles and another food. I like to focus on prepping the foods that are time-consuming to make, because these are the foods I don’t want to make on busy school mornings. Think about the foods (from your repetitive plan) that can be frozen in advance. Double these recipes and store the extras in the freezer for future meals.I’ll share a few ideas on the blog soon. I freeze both breakfast and lunch foods. Develop a set morning routine for the kids: make bed, get dressed, eat breakfast. And if you don’t have a set morning routine for yourself, develop one. For me, I get up at 5am (two hours before I need to start getting ready for school), enjoy my morning hot water and lemon and coffee, stretch and jump up and down (seriously, to wake myself up and get my blood flowing), read, and work on my most important task of the day (typically this is writing a future blogpost or editing photos for a future post). At 7:15 am (my alarm is set), I start getting ready for the day (which includes listening to music or a podcast), make or warm up breakfast for the family, and pack lunches. While I’m packing lunches, the kids are upstairs working on their morning routine, which we’ve practiced together over and over again. A routine = less chaos in the morning because everyone knows what is expected of them. Less chaos = extra time to get the lunchbox packed and a healthy breakfast in your family’s hands. Hey, you may even have time to enjoy a cup of hot coffee. Okay, I said four hacks, but I think this one is important to mention: give yourself grace. 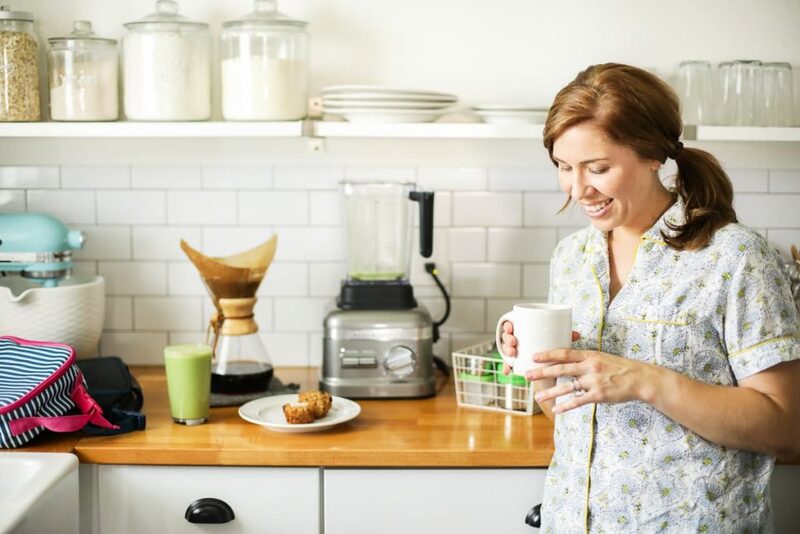 I keep a box of “better” cereal in my pantry (One Degree is my favorite brand) for those special mornings when we just need a change and nothing in the freezer or fridge sound good right now. And then there are times when Londyn suddenly doesn’t like anything in her clothes basket and wants to find a dress to wear from her closet, which means I spend half my morning helping her meet her fashion goal for the day. Friend, it happens, even with all the prep and well-practiced routines. That is when grace is so important. 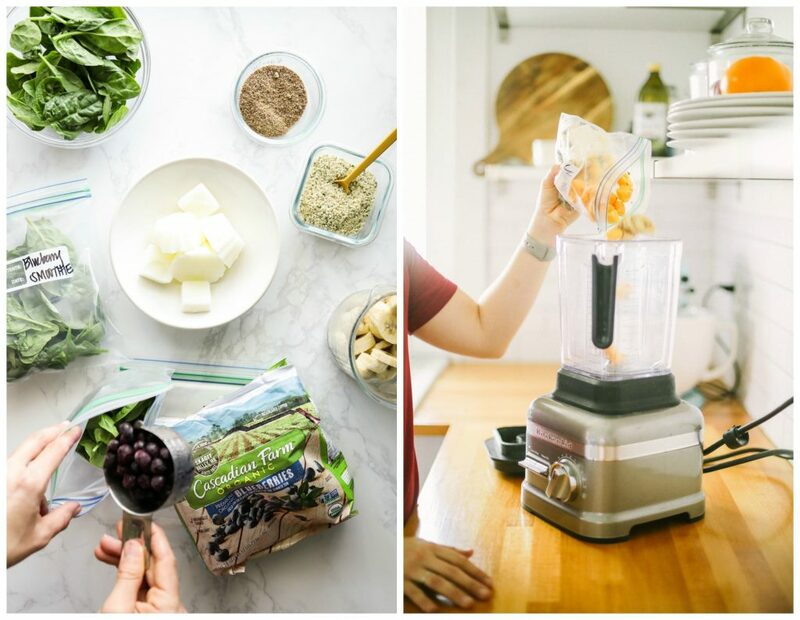 Simplifying and eating real food aren’t about perfection <–Remember that. We do the best we can each day, with the ultimate goal of loving our families well and nourishing their lives (and bodies) to the best of our abilities. <3 <3 <3 these ideas! I've used these with huge success starting when my oldest was barely school age. Now with 4 teens things almost always come off without a hitch! Thanks for keeping it real AND simple! Thank you, Marcee! I love your tried and true advice, too–it’s such a blessing to hear what other parents have tried and what worked for them! I love these ideas and how you keep it real. I have 7 year old twins and a 5 year old and mornings are a bit nuts. This year I am working on making mornings run smoother! This will be a great help! Hey Koosje, I’m so glad the ideas are helpful for you! Here’s to smoother mornings!